You don’t know what you don’t know . . .
How embarrassing. I knew when I first started designing website that I really, no I mean really, did not know what I was doing but I thought my boss would teach me, which he did. Sort of. For the most part I taught myself. And then I am reading “Information Design From Authoring Text to Architecting Virtual Space” and realize just how much the two of us really had absolutely no clue how to do what we were doing, we just did it and customers seemed to be happy. To be fair, my (old) boss started this business on his own five years before I came on with little to no training himself and was (and still is) doing quite well. I think back on some of the sites I designed from scratch (none of which are still up and running due to businesses going out of business) and realize that there was always something missing. I knew it back then but could not put my finger on it. I was not a graphic designer (nor would I ever be one) so I always blamed it on the images just not being quite right and therefore the effect of the site not being what I had hoped it would be. I did at least always pride myself on my sites being easy to navigate with the appropriate information in the perfect locations. Now I realize that the reason the sites were not all they could be had so much more to do with the actual text and placement of information than I ever would have thought possible. This quote would have never in a million years been something that I would have understood back then. My job was more about getting our sites onto the first page of Google and manipulating text for that purpose based on the SEO standards of the time. We wanted the sites to be navigable and to have the information that was pertinent to the business (we would track page views through Google Analytics) but I am pretty sure we did not take into consideration the thought process of the users or how they were actually using the sites in the first place. Again, kind of embarrassing to admit that those sites were public for a long time! It does help to know that the early 2000’s were still a time of transitioning and exploring in the area of web design and its content. (p. 106), is what can make the difference between a “professional” site and an amateurish one. I think the fact that I was ignorant to design practices didn’t hurt me as much as it could have is because I have always been very visually aware of what looks right and what doesn’t. We all have had plenty of experience browsing websites and you just know what looks right versus when something is just not settling about a site. That being said, the fact that technical communicators are becoming more aware of the importance of the combination of visual design and content and the businesses they work for are taking it more seriously as well, is a great step forward in the field of web design: “Historicizing genre is significant, because it reminds writers that the ways in which emerging digital documents and virtual spaces are designed transmit values and reinforce or disrupt ways of working and communicating with one another.” (pg. 106-107). 2o+ years ago), and started in this degree. Little did I know just how important of a role technical communicators can play, especially during my naive years as a web designer. I can’t help but wonder, if I had known how all encompassing web design really was, if I ever would have stepped foot into the arena in the first place? I would like to think I would have. If not, I would have missed out on a great opportunity, no matter how high the learning curve was! Savage’s analogy of metis and the deployment of digital tools really struck a chord with me. I look back to summer evenings spent sailing with my dad on Lake DuBay, and I understand the point he was trying to make. The goal of sailing and of deploying digital tools isn’t to master anything; that isn’t possible. It is to be responsive to several factors that can change quickly and sometimes all at the same time. My Dad’s C-scow was a fun boat to sail, but it was a highly temperamental boat to race. For those who may not know, scows are wide and flat bottomed sailboats. They are slow when sailed flat, but they become much faster when they are leaned up on edge. The waterline changes from wide and flat to very narrow and long, which drastically reduces the surface in contact with the water. When everything is going well, it is fast and exciting. Racing the boat is a matter of weighing risk and reacting quickly. You can always lean the boat less and sail it less aggressively, which will allow for more time to respond to changing conditions. Or, you can lean it far, sail very quickly, and sacrifice some of your time to react to changing conditions. What does all of that have to do with deploying digital tools? Some of it is preparation, making sure you have done the testing needed to make sure everything works and understand how it works. Next, you need to have a team or crew that you can trust to handle their job if anything changes. The final portion is learning to pay attention to the signs in front of you. There are a lot of variables in both that can change, so paying close attention to everything around you is key to reacting to those changes. If you don’t notice a problem, it is unlikely that you will react soon enough or in the right way to be useful. Each of us must exercise critical digital literacy to succeed in this ever changing digital world. We must understand more than just the context of our work. We must also have a strong grasp of the tools available to us and how best to use them. This was part of what prompted our switch over to HTML based documentation. The majority of employees work from home, so information needs to be accessible and able to be retrieved quickly. They also frequently have several programs open at once. HTML files are much smaller sized, and they open from a browser rather than Microsoft Word. This reduces the resources needed to open access and use the documentation. The readings discussed single sourcing, which is another thing my team is working toward. We have established common wording guides to for frequently used portions of text or steps in processes that are program specific. This helps save time and drive consistency throughout our documentation, which can be difficult with eight different writers sharing the workload. We also have editors who help raise the quality of the documents and unify the voice. This week’s readings contained much about information. I actually started to feel a bit of information overload just thinking about how one would have to govern the amount of information now created living in this technological age. The column chart on page nine under “Call of Action” from “Systems of Engagement and the Future of Enterprise IT” really caused me to pause for several minutes as I thought about the years of change and how we have stored information. The chart presented major changes from storage of information on microfilm to social content. When I think about microfilm as the primary means of information storage some time ago and then compare that time to today and its use of social content as a way to store content and information, I imagine researchers pouring over microfilm in former days in comparison to future researchers years from now pouring over Facebook status updates, Tweets, and emails as a way of garnering information. The amount of information digitally recorded these days is steadily growing. This brings me to information governance, which is something I really hadn’t given much thought to until our readings this week. How do we govern information? Who has to govern it? When I think about businesses and their needs to maintain content and information in this digital age, I can’t help wonder how many job positions have been created these days purely to take on this type of job? I especially thought about these questions when I read from “Systems of Engagement” this idea in relation to businesses, “Meanwhile, over on the business-to-business side, the attraction is more about cutting the time it takes to reach closure on any key issue, be that a product design change, a customer complaint, a late shipment, a pricing dispute, or the like. Here again, even though the communications are often in real time, they are leaving their trail of digital footprints — emails, for sure, but also Tweets, recorded web conferences and other types of tools (or other types of content). What is the right policy for storing or deleting such records? What preparations must one make for the inevitable e-discovery requests that our litigious society will surely generate?” (Moore, 2011). I thought it interesting that businesses now need to consider that while they often have live conversations to resolve issues, indeed there is usually some trail in the digital world. I found it even more interesting that the final thought here revolves around the idea that without proper preparations, businesses can open themselves up to legal action and loss of money. This is a key reason why businesses will likely get serious about information governance as noted in “Eating More Fiber and Getting to the WHY? of Information Governance” (digitallandfill.org, Oct. 17, 2013). Businesses will need to find a way to properly govern the amount of information now coming in via many sources, both hard copy and digital. If businesses must worry about reducing risks and costs but must also reduce the amount of information being saved, I am not sure how they can avoid possible legal action without making sure they save everything. And how would they save everything if the system to save information went automated in an effort to reduce costs as “Eating More Fiber” suggests? Without capturing the digital footprints accurately, a piece of the trail may be missing that could prevent the businesses from losing time and money. Maybe the inaction to really take information governance seriously comes more from people just not knowing how in the world to manage the incredible amount of information we have available to us these days. As noted by the author of “Eating More Fiber”, “… but I feel the real reason for inaction is that the WHY? of information governance is not fully understood – at a gut level – by executives.” The gut that may require more fiber is also the gut that may not fully understand the impact of not properly governing the information available in this age. On a side note, from both readings, I also was led to AIMM and its upcoming conference; just the title alone sounds interesting: Information is the New World Currency. Businesses and organizations can also learn about information governance by taking a course available through AIMM. Content Management Systems, I use those! I like the definition of Content Management that Spilka provides in Chapter 5. Content Management is a set of practices for the handling of information, including how it is created, stored, retrieved, formatted and styled for delivery. It usually has the following four goals: Distribute tasks and responsibilities among members, Author and store content that enable multiple-audience adaptation, Author and store content to permit multiple output and Author and store content that allow for reuse by multiple organizations. Spilka also recommends creating CM as a separate discipline and teach to other technical communicators (Spilka, 2010, pgs 130-131). This definition really is what I do on a daily basis in my current position of QA Specialist, who is also responsible for the majority of customer educational resources for our Home Care product line. Where I work currently, we use a few different content management systems, most of which were created by in-house staff for our use. The one that looks the most like this definition is our SIETE product. This is the product that we use to track the tasks being completed by the developers, that guide our release notes and user guides, as well as our Knowledge Base which houses the release notes, user guides and other customer-facing educational resources. I was not included in any of the design aspects of this product, it does work nicely for our customers. The image above is an example of our customer facing portion of SIETE. This is accessed through the application and the content visible on the right-hand side is content specific based on the page the accessed the Help from. In addition, there are additional materials that the user may find useful based on this page. It would include FAQs, User Guide Pages and Videos that were created. This can be updated by our staff immediately if issus or corrections need to be made. This page really encompasses goals 2, 3, and 4. It allows for multiple audience adaptation, permit multiple outputs (html, videos) and reuse within and across organizations. According to Chapter 4, we, as technical communicators, organize the written communication for future use (Spilka, 2010, pg 123). This SIETE product does assist with this. The search feature within the Customer Facing Knowledge Base will search content and tags that are added to each item. At this time tags need to be manually managed on each task, but helps with searching when the customer may not know the correct term. We can add additional terms that customer might use, even if it does not match the terminology that we use. The image above shows that Goal 1 can also be used in our SIETE Application. There is a module called Project that has Projects, Outlines and Tasks. Each task can be assigned to a specific person and it can detail what needs to be done, when it should be done and what other assets are needed to complete the task. Often times I will spend a day or two reviewing the User Guide for changes that need to be made. Simple changes will be made immediately, but longer changes will get a task. Once all tasks are assigned I, or my supervisor, can set due dates, priorities and estimate the time to complete. As time allows, these are updated and immediately available for our customers. After reading Geoffrey Moore’s Systems of Engagement and the Future of Enterprise IT and William Hart-Davidson’s Content Management: Beyond Single-Sourcing, My only understanding of content management before now was with the idea of a content management system, as in a software program, and I had never really thought about it beyond that scope. It was interesting to read the perspective that the scope of content management is greater than I ever knew before. For example, I never really thought about the internet itself being content management, just because it is so chaotic and there is just so much there, without any real organization or obvious function for much of it. I am currently working on a project to convert all of my department’s policies into a new format in preparation for relocating them to our organization’s new content management system for policies. This project is the only reason I really had any grasp on content management at all, and unfortunately, my grasp was very limited to what I needed to know in order to complete the project. However, as I look at the history of how our policies have evolved, just in the few years that I have worked in this organization, I can better understand the concepts of content management especially for technical communicators. It is interesting to think of the changes in how we have managed our library of policies and procedures over the years. When I first started my job, our departmental policies and procedures were contained in a few giant three-ring binders. They were theoretically alphabetized, however there was no rhyme or reason for what word was chosen to represent the policy, so it could be extremely difficult to find the one policy that you needed. Furthermore, those binders only contained the policies for our workgroup, so if you needed to know about a policy for a different workgroup within the department, you would have to go to their work area and locate their binders to find the policy. It was a rather cumbersome process. Hart-Davidson referred to this type of information storage as a “content silo” (p.131) which is an extremely apt image. The content was just dumped in and even though people tried to make it accessible, it really was not. Eventually, our policies were published electronically on our organization’s intranet site which helped a great deal, however there is only a very remedial search capability which more often than not is unable to locate the document that you need. Because of this, I am ecstatic to be moving policies into a content management system. It will allow all of the information to be in one place, to be searchable, to ensure that it is current. It makes my nerdy little policy-loving heart happy. This just illustrates Hart-Davidson’s four goals of content management (p. 130). The movement from hard copy to a content management system allowed us to move from restricted access to more public access to the documents. It also subsequently allows people throughout the organization to adapt our policies for their own use. It is interesting, because most of the policies in our organization are written by whoever does the job and as Hart-Davidson pointed out, using a content management system isn’t going to improve the writing (p. 141), but it does at least allow access and for us, the process of reformatting all our policies requires us to look at them more critically than ever before. I think that successful businesses with multiple locations have to follow the Systems of Engagement in B2B Enterprises defined in the “A Sea of Change in Enterprise IT” reading this week. These five ways to make technology work internally and externally to be more productive really do make a difference. These things won’t completely turn a business around, but they’re good things to do. The first point of making meetings work better across time zones sounds like a no-brainer but it’s something people just don’t understand. Verizon Wireless has many locations across the USA. I’m in NJ and have to keep in mind there are times I’m working with someone located in CA. I always look at the location of my colleague when scheduling a meeting to be polite to not schedule a meeting during a time that’s out of their office hours. I even go as far to not schedule during their lunch hour! And we use tools that allow for conference calls and screen sharing, even telepresence. These technologies may be expensive to implement but make a big difference in how employees can work together and reduces employee travel. I think addressing issues collaboratively and keeping collaborators connected really does help solve issues with real solutions quickly. No one person will make a complete difference, but having a team that can easily communicate and come up with ideas will really make a difference. I notice that sometimes my boss will get upset at my team for communicating. I believe she thinks we’re talking about personal things, but we’re really collaborating and coming up with great ideas to help take our work to the next level. I also agree that mining community content to extract insights and viewing collaboration and social systems in context will help with diving in and analyzing the community to result in better decisions for the future. It’s also important that not everything has to be shared with social systems. Having a social presence is important, but having the wrong social image can be just as harmful as not having a social presence at all. Information design and architecture are huge responsibilities for technical writers. Information design and architecture isn’t only for external use, internal staff can benefit as well. Information needs to be easy to find and displayed in a well organized format for customers and internal staff to use it. In the world we live in people are inpatient. We want what we want when we want it. If there is a barrier to getting what we want, we become frustrated. When I worked as a technical writer and implemented a knowledge base, I came up with a draft layout of categories that information should be posted to. I tried to put myself in the shoes of the customer and thought about where I’d look for this information. There were many internal meetings to discuss this because we wanted customers and staff to see value in this knowledge base. It had to be right the first time, as a customer, as well as internal staff, will base an opinion of it on their first use. If they find what they’re looking for they’ll look at it again. If a customer can’t figure out where information is, they’ll call customer support and already be frustrated that they had to pick up the phone, and not look at the knowledge base again. I tried to do some searching to see how long a customer will spend finding information on a knowledge base before giving up and calling technical support, but I wasn’t able to find any details on this. I think it’d be a good study to conduct. However, there’s plenty of information, like this link below from Zen Desk, about how to develop knowledge base content. Technical writers are also content managers. It’s part of the job of a technical writer to create and manage content. This starts with defining the information to relay, the format/template that is used to relay it and making sure the content is up to date. As a technical writer I’ve started many documents trying to figure out what the reader on the other side of the computer screen is looking for. It’s difficult but I think the best we can do is relate to the person on the other end of the document. Maybe customers will actually read the manual if they feel it’s put together well, and it’s easy to find and navigate. Going back to my internship during college in the early 2000s, I realize now that I was involved with an early form of capturing data electronically. I worked for a global heater company that had endless numbers of user manuals for all its brands of heaters, even some they no longer made, but still serviced. One of my first projects as an intern was to scan the manuals into PDF form and save them to a folder on the shared server. It was tedious work, but, looking back, I can see how beneficial it was for them to have me do this. At the very least, they wouldn’t lose those user manuals if the building started on fire! Today, I work for a company that operates a specialty retail pharmacy that is required to keep paper records for seven years. Despite the 10+ years that have gone by, it feels like a step backwards in the world of enterprise IT. However, with all the changes in healthcare (most notably EMR/EHR implementation at hospitals and clinics), I wonder how long it will be until other healthcare facilities (like a pharmacy or nursing home) will be required to go digital with their records as well. It’s not just the pharmacy that can be dubbed a tree killer at our company. Our #1 marketing activity to bring in new business is direct mailings. Most recently was a postcard mailing to over 1000 allergists on the East Coast. The postcard was to advertise a webinar so the information delivery will be online and paperless, but any follow-ups to those that participate will very likely involve mailing paper documents, including a 100+ page manual that outlines the specific allergy modality that we promote. Is this a waste of paper? I think you have to weigh the pros and cons. This manual is not something that we mass distribute; it only gets sent to those truly interested in our services. If we were to allow access to it online, would we be able to prevent its dissemination to those we don’t want to have it, like competitors? I am happy to report that our company has made at least a few efforts to reduce the amount of paper we use – the customer portal that I mentioned in last week’s post is one of them. One of our goals for implementing this website was to give clients access to a number of the patient education materials that we normally print and mail to them. We actually just had to review which ones we needed to reprint as our inventory was getting low on a number of them. We ended up deciding not to reprint a number of them. We want customers to get them online instead. Rott, L. (2013). Snipped from portal website. This online portal acts as more than just a way to reduce paper cost – it also acts as a type of content management system as it gives us a place to organize, store and communally update a large amount of information for clients, but it also allows us to track usage and activities on the admin side, which I think this week’s readings showed us is just as important as the storage and organization of the content. From Moore (2011), one step he recommended for B2B enterprises (like the one I work for), is to “mine community content to extract insights to enhance the business” (p. 7). With our portal site, I can see when users log in and track what areas they are visiting most often. This can be helpful for updates to the site because we can see what people use and like. It’s not as sophisticated as how Google tracks our online footprint, but it works for us. Speaking of content management, I also work with an online customer relationship management system called Salesforce CRM, which some of you may be familiar with. Salesforce is a fully customizable, on-demand program that I have been able to mold into what the company needs to track sales and customer growth. It truly embodies the definition of content management. It gives us a turnkey solution for “handling information, including how it is created, stored, retrieved, formatted, and styled for delivery” (Hart-Davidson, 2010, p. 130). Rott, L. (2012). Created with SnagIt. From a generic framework, I added custom fields, inserted formulas and stages to predict closes on new sales, built new pages and sections, and created reports. We now use Salesforce to not only record all basic account information, but also as a reminder system to stay on top of daily, weekly and monthly activities. It also helps us monitor marketing campaigns and the progress of specific growth strategies. Additionally, it has document storage capabilities and allows us to build email and letter templates to create a uniform method of communication delivery. Finally, we have been able to build both basic and in-depth reports to help with sales analysis and communications. For example, we can run reports to see how many leads are in the sales pipeline, or create mailing lists to customers that have signed up to receive our quarterly e-newsletters. Essentially, this program allows us to mine data on current and prospective customers, stay on top of our communications to these audiences, and plan future communications, whether it is a mailing, email blast or marketing push. It is the backbone of the account management, sales and marketing departments. Like one of the CIOs said in the Moore (2011) article, “We are grappling with this” (p. 6). In some areas, my company has transitioned into the new era of enterprise IT quite well, but, in others, we are still figuring it out. I long for the company to be more technologically adept, but, in the grand scheme of things, I think we’ve made a lot of great strides, especially considering the small size of the corporation. It also made me feel better to read how many companies are struggling with this transition, so we are not alone. Overall, I think that as long as we keep trying to move in the right direction, we’ll be okay. There has been many a conversation throughout my time so far in the MSPTC program about Rhetoric and its purpose in today’s world of Professional and Technical Communications. Some of my former classmates would like to see the topic, or at least some of the textbooks, tossed off the nearest cliff. I cannot deny that I have had those feelings once or twice myself. In fact, I had to laugh in agreement at this definition of rhetorical analysis: “This category is, by necessity, only a loose grouping of related types of work that share a common goal: complicating common-sense understandings of technologies by analyzing them from a variety of rhetorical perspectives that demonstrate their immersion in social and rhetorical processes” (Spilka, 2010, pg. 92, emphasis added) Finally, the combination of our readings this week along with some more modern day examples shows me how rhetorical theory can add value to companies, especially through the use of social media. In particular, the discussion of the music industry not understanding the value of social media and embracing it instead of fighting it, is really what made it all sink in: “Instead of actions that disenfranchised their customer base (some of the largest numbers of downloaders and sharers were made up of music fanatics), the music industry should have been rejoicing that their distribution, production, and packaging expenses became almost nonexistent!” (Qualman, 2011, pg. 153). I remember vividly when this topic was a hot button (pre-iTunes). I also remember being very willing to pay for songs but I was tired of buying whole albums when I only liked one or two songs, which was one of the major benefits I saw of downloading the songs (along with being able to add them to an MP3 player pre iPod). Since iTunes has come along with the ability to pay per song, I will say my own personal music purchases have dramatically increased. I continue to be so confused by some musicians still resisting this new modern format. I am PAYING for songs and buying more than I ever had before. If I am doing that, aren’t a lot of other people be doing the same thing? Aren’t musician’s songs only becoming more popular through this version of social media and therefore their revenues going up? Seems logical to me but as Qualman points out “. . . the real reason they didn’t embrace the model is that they didn’t understand it” (pg. 153). Hence the need for Rhetorical Analysis. If the rhetoric of technology were more prolific early on, and had been able to show through research and theory the value of this transformation in how we purchase music, the music industry may have started listening sooner. Now, rhetorical theory for social media can be invaluable. From understanding the why, when and how of social media usage, companies can maximize the effect of how they use it in their business models. Social media is such a study of psychology and technology combined, the opportunities for rhetorical study of this booming technology are booming, adding value not only to the companies utilizing the theories but also to the profession of rhetoric for technology, in particular for “Technical communicators, who are by their nature intrigued by new rhetorical possibilities . . .” (Spilka, 2010, pg. 85). This week’s readings have reinforced that I am a late adopter. Both heavily discuss the benefits and uses of Twitter, a product that I am still leery of using. I don’t have any particular issue with Twitter; I just have no desire to use it. TV, especially reality TV has really embraced Twitter, and they definitely use it to collect user feedback. The immediate feedback is nice for companies, but I personally find it distracting. In this week’s reading, Qualman introduced a term called “socialommerce”. Essentially, this is using collected information from social networks to provide a form of reviews or recommendations for products. The examples were interesting, but I feel like there are issues. I have a vast respect for reviewers, but not all people make good reviewers. Steve, in the examples, is choosing to trust the opinions of his friends to make pretty substantial decisions, rather than take some time to do additional research on the other options. Referrals are great, but they should accompany research rather than being blindly followed to save time. Maybe I’m alone in this, but I appreciate my privacy when it comes to online usage. I like to provide reviews to some products, but I would rather put that review up on a related forum rather than connect it to my Facebook profile. I choose not to live my life online through my Facebook page, and I don’t want other people to know my buying history. It isn’t anyone else’s business how much camping equipment I buy each year, or what movies I have purchased. I’m already aware that web pages tailor their banner ads based on the cookies of recently visited sites, and that is intrusive enough to me. I certainly don’t want to share that information with everyone on my friends list. YMMV (your mileage may vary). Qualman’s prediction of e-books reminds me of movies from the 80’s and 90’s so riddled with product placement that it was distracting. Nonintrusive product placement makes a scene seem more realistic, but some product placement appears too obvious and makes the movie look cheesy. If you have seen Back to the Future, the original Total Recall, or Wayne’s World, you probably know what I am talking about. It is one thing to have the main character drink from a soda can that is just barely identifiable as a Coke. It is entirely different if he places an order asking for a “crisp and delicious Coca Cola”. This is what Qualman predicts might happen to e-books. The text would feature links to products or services that the reader could click on to find out more. This already occurs in blog posts, and I hope that it doesn’t break into all digital reading. Many people use reading as a way to escape the bombardment of marketing, advertising, and social media, and it would be a shame to see that taken over as well. When I began Chapter 3 in Digital Literacy, I paused for a good minute on the title alone: Shaped and Shaping Tools. My mind wandered back into a time when man used mostly his hands to shape things. I got lost in thought down a path of tools and how we use them to shape so much; then I thought about Twitter and how it is shaping people, communication, and businesses. Clark writes, “As I’m writing this in the spring of 2009, my current techno-rhetorical obsession is with Twitter, an increasingly ubiquitous ‘micro-blogging’ tool that is capturing the popular imagination” (85). For some reason, Twitter has never been able to capture my imagination fully, and I continue to be resistant to the Tweet, and I don’t know why. All around me people are Tweeting. I fully understand its rhetorical implications, and I actually appreciate it as a tool that has massively changed social media and the way we communicate, yet I just won’t get on the Twitter ride even now when I know I should. I found it interesting that Clark noted that Twitter was accused by some as “stupid, pointless, narcissistic, and over-hyped,” and “it therefore shows all the signs of a real cultural phenomenon” (85). Why would something that possesses such negative traits become a phenomenon? But indeed it has. Twitter has certainly taken the world by storm, and it has forever changed the way we can interact and communicate with each other. I cannot help think how interesting it would be to capture our century in an archive of Tweets, but goodness, what a large archive it would be. Twitter is a real cultural phenomenon, and I do not expect it to stop any time soon. Our readings forced me to think about Twitter as a tool of rhetoric, and I began considering how this tool fits into activity theory. When I consider an “activity system” with “ongoing, object-directed, historically conditioned, dialectically structured, tool-mediated human interaction,” Twitter fits right into this theory. Clark cites examples of activity systems as “a family, a religious organization, an advocacy group, a political movement” (98). Twitter has offered quite a new approach for any system to communicate with the world. It’s really allowed us to “follow” anyone, anywhere, anytime. The example given by Qualman of CNN Anchor Rick Sanchez illustrates the Twitter’s ability to “shape” human behavior. His experimental use of Twitter was as Qualman noted “an overnight success.” Sanchez was able to use the Twitter platform to capture his audience by asking them to help “produce” his show in some ways. By asking thought-provoking questions and eventually getting his followers’ tweets scrolling on the byline, he effectively encouraged his 75,000 to watch just to see if their comment made the show. Talk about a shaping tool! Now back to theory. Activity theory calls for groups and individuals to be analyzed with a triangular approach that emphasizes multidirectional interconnections among subjects (the individual, dyad, or group), the meditational means or tools they use to take action (machines, writing, speaking, gesture), and the object or problem space on which the subject acts (98-99). Twitter is a tool that utilizes a machine to work and allows for writing and promotes interconnectedness; people use Twitter to take action. Then somehow I found my way to Triangulate, and I was further convinced that Twitter (because we have a method to charter its hidden networks) really is a cultural phenomenon that activity theorists can use for broad cultural understanding. Clark writes, “Activity theory calls for active attention to analysis of artifacts, whether written genres or digital technologies” (99). I find Twitter a fascinating example of an artifact from our time that is both a written genre and digital technology. Twitter is capturing so much of our lives, history, movements, and human experiences. It is most definitely “an analytical tool in the workplace studies in the rhetoric of technology” (99). I cannot help wonder about those who will come years and years from now…will they sit around lit up screens and read about us in 140 character Tweets and fully understand our time? I imagine a timeline in front of them. A caveman and his hand or club will be present and so will a 21st century man holding a mobile device. The tools of man have changed! 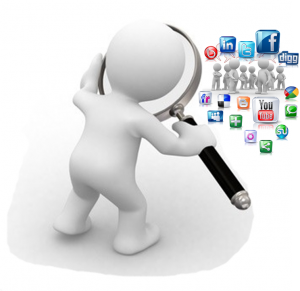 Rhetoric of Technology and Social Media – Don’t Miss the Boat! Although “rhetoric of technology” is considered a newer term and area of study, it has taken the world by storm via social media and has become a powerful marketing tool (Clark, 2010, p. 89). I would dare say this term is synonymous with Qualman’s (2009) terms of “socialommerce” (p. 89) or “world of mouth marketing” (p. 99). 3) Referrals from friends and family. I see that several of my Facebook fans mentioned buying a Samsung Note recently, so I send them a message to see what they think. These readings have caused me to reflect on the company I work for and our use of social media. Sure, we have a Facebook page, LinkedIn page and Twitter handle, but it doesn’t feel like we’re creating a sense of community. Our Facebook page has only three “likes” and they are all employees of the company. We have not heavily promoted these sites and rarely post to them. It seems that our social media boat is half sunk! How do we drive more traffic to these sites and who do we target? One of our primary audiences that we market to is physicians. I have the exact worry that Qualman describes at the end of chapter seven: “They don’t want to aggregate their hard-earned customers in a public forum because they’re afraid the competition will come in and pick them off” (p. 184). Qualman insists that if a company is worried about this, then there are bigger problems within the company. I disagree. Our company offers a solid product and even better service (yes, I may be a little biased, but let’s put that aside, shall we?). Despite this, our competition is offering what you would call “it’s too good to be true” sort of product and service, bordering on the edge of illegal (at the least, unethical), but because our type of service is still so NEW, many physicians do not realize this. On top of this, we have actually had competitors cull our website for clients as we used to list them for patients (“Find a Physician”). I don’t believe we actually lost any clients this way, but it makes you more careful as to what you put out on the web. We changed our site so now you have to submit a request to get a list of doctors in your area that provide this specialized therapy. Rott, L. (2013). Snipped from employer’s website. We are supposed to have a meeting soon to discuss upgrades to our portal site…perhaps I will bring this up! One of the common themes I saw through the readings this week was technology. When I first started reading Spilka, it challenged the way I thought about what technology was. I alway thought technology was just the devices and the physical things I could hold in my hand or touch. In reality, Technology is more than that. It is the methods and tools that a society has developed in order to facilitate th solution of its practical problems. The Digital Literacy book also defined Technology, but this definition was a bit clearer for me. With this definition in my brain, it really helped my connect the readings from Spilka and Qualman. For the past few weeks I was having a hard time figuring out how these two books, written so different could be required for the same class and have readings assigned at the same time. I’m now starting to get it. Spilka really laid the groundwork for the Qualman reading, specifically on Socialommerce. Dave Clark (who wrote the article in Spilka’s book), starts out by talking about Twitter and how it could be used. Qualman takes the concept of Twitter and other social media sites and expands on how people can use this technology for their purchases. Socialommerce (as Qualman calls it) or Social Commerce is not new. Amazon and eBay are two examples of Social Commerce sites that have been around for a while. Both Amazon and eBay use your current browsing and search history to show you items that you might be interested in. That is the basic concept of Social Commerce. Social Commerce is really just allowing your friends/family/social media circles to help in purchasing items. Social Networks make it easier for people to provide information about what they purchased and why. This could be part of the reason Twitter could be so popular. 140 characters is easy to write about a purchase. That makes it really easy. 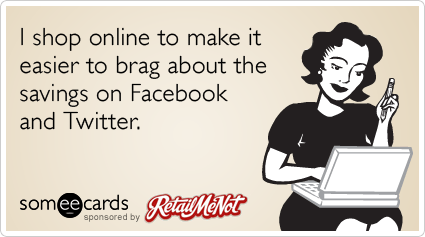 In addition most online retailers allow you to share about what you bought and the savings you had. Facebook allows for applications to be created by third-party companies and integrated within Facebook. Companies will often time see a new idea from an exsting company or app and either try to purchase that app or create a new one that is better. TripAdvisor did that with their “Cities I’ve Visited.” They borrowed the idea from Where I’ve been, but allows for pinpointing cities that were visited instead of just countries. With the addition of “I’d like to visit” within the Cities Application, other companies can see where I want to go and advertise to me. Also, friends can see that and indicate if they’ve been there and if they would recommend going. This is also Social Commerce. I used TripAdvisor (website, not application) for help in planning my trip to New Orleans/Alabama this week. It is good to see the reviews and itineraries of people who have been there about the things to do and things to avoid. I’m traveling with my mom who is still new to Facebook and social media, so she’s nervous about posting that we are taking this trip, so Social Media hasn’t helped. Steve Kaufer, CEO of TripAdvisor has said “If you are not constantly evolving along with your customers you are doomed to fail.” Do you know any companies that need to follow that advice? Scrabble is my favorite game in the world, because of Scrabulous. I had never played Scrabble before, but a friend invited me to play Scrabulous on Facebook and I was hooked. Scrabulous was the only game I ever played on Facebook and I remember the day it just disappeared without any explanation. I never actually knew about the legal battles surrounding it. I never knew that it wasn’t run by Hasbro. I was just disappointed that I couldn’t play it anymore. So instead, my friends and I bought secondhand copies of the original Scrabble game from Goodwill and started playing in person. After reading Qualman’s account in Socialnomics of Hasbro’s litigious reaction to the game, I am finding myself not wanting to support the company, which may be a little vindictive of me since it was early in the days of social media, and companies have really all had to adjust how they approach marketing. Social media simply has changed how we interact in most spheres, and it isn’t entirely fair to hold a company’s slow transition against them. But really, who wants to have anything to do with a company that punishes people for helping to promote their product? As Qualman pointed out, Hasbro would have done better had they followed the examples of other companies and had endeavored to “beg, borrow and make better.” Hasbro could have taken a different tactic and been more successful. Companies need to adjust their thinking to understand that advertising happens differently through social media and their response needs to be about incorporating the efforts of their customers rather than attempting to control them. It is interesting how even as companies are having to adjust their methods of advertising, they really don’t actually change. Qualman points out the rediscovered joys of product placement in his examination of ESPN’s fantasy football podcast. Basically, instead of commercials fully devoted to the product, it is becoming necessary to incorporate advertising into content that the customer actually wants to experience. It reminds me of eighties movies, where product placement was so blatant, though not obtrusive because it was incorporated into the content. Who can think of the movie ET without thinking about Reese’s Pieces? Qualman posits that we may see a similar kind of product placement in E-books. Then not only would the story mention that the protagonist enjoys Diet Coke, but that it would have a link to take you to a website. I am happy to see that this idea has not come to fruition. While I think that advertising within enjoyable content is something that can be done well, there comes a point where I don’t want to be bothered by clunky advertising. If it infects my e-books, I think I will likely go back to buying giant mountains of books from Goodwill. Perhaps other people would not find it annoying, but the fact that this form of advertising has yet to transpire suggests that perhaps I am not alone in thinking that there needs to be a point where advertising stops. Are Targeted Ads and Facebook controlling where we spend our money? I find the concept of socialommerce interesting. I think we all know when we’re on a website that they can track what we’re doing, such as where we’re clicking and how long we’re on each page. In my last job at an order management software company I saw these concepts a lot. In addition to providing a software to help businesses manage their orders, the company also hosted websites. I learned a lot about e-marketing tools because of this. Let’s say you go online shopping and you leave the site quickly without putting any items in your cart. If you entered your email address anywhere or were logged into an account on that site, they can tell you were there and didn’t buy. The company can send a special coupon to use to attract your attention back to the site. But let’s say you went online shopping and abandoned your cart. You can get an email with a different offer that is specific to the item you left behind. Businesses will also send surveys for feedback from their customers, and most will offer a coupon to thank you for your time and opinion. The example below is from New York and Company. Businesses have so much visibility they no longer should be offering blanket offers because not every coupon or deal is going to influence everyone to buy. Even in this rough economy, people will spend money when they feel they’re getting a good value. I did some quick searching and found a study from The Network Advertising Initiative that stated targeted advertising increased revenue 2.7 times as much as non-targeted ads. Also, it is twice as effective at converting users who click on the ads into buyers. People will also be more likely to spend money on things their friends give positive reviews on and companies that have a good reputation. I do agree that we’re at a point where products and special deals find us. Over the summer I was looking to buy a car. After my first couple of Google searches and visits to different sites, car ads were all over my Facebook page. I didn’t like these ads because I knew what I was looking for and what I wanted to test drive. After I purchased a car the ads were still on my page for weeks. This makes me wonder how individual specific advertising can be productive for things that the advertiser can’t tell I am no longer in the market for. Being I already bought a car, continuing the ads for me are useless. That space could be used to advertise something I might actually spend money on, like the ad on my Facebook page today that’s below. Birchbox sounds pretty cool, anyone try it? I have to love asking for feedback on my blog post that talks about how we use social media to see if something is worth investing in! Facebook can definitely influence purchases. This morning one of my friends posted she had a waffle and instantly that’s what I wanted. I actually did go out to the diner to get one! Our statuses also allow us to network. Friends of mine are getting married and posted on their Facebook status that they’re looking for a photographer. There were many comments that provided names and links to example work done by the photographers. In this case Facebook did the research for them and instead of finding a photographer, a photographer kind of came to them. I was surprised to read that there is so much tracking on DVRs. I don’t know why this shocked me because everything is tracked these days, so why wouldn’t my cable company track what I fast forward and what I’m watching and when? I wonder how they use this data. I’d assume some of this has to be used to determine the popularity of a TV show. As a rule, I DVR everything and watch it later so I can skip the commercials. In the reading this week Hulu and their limited commercials are mentioned. The reading states that these 2 minute commercials are more productive than a longer commercial break because people will sit there and pay attention for those two minutes. When a commercial break is longer people get up and do things or fast forward through them. I know many people that are getting rid of their cable and just watching TV online. I wonder how we’ll see either Internet plans or sites change to support this. It makes me think of cell phones and how wireless plans have changed to accommodate a lot of people no longer keeping a landline. In Chapter 7 of Socialnomics, “Winners and Losers in a 140-Character World,” Erik Qualman discusses characteristics companies must now abide by if they plan to break even in a social-media driven world. He provides the reader with examples of companies who have embraced social media and used it to grow and develop their companies. Qualman also shares examples of companies who have the what’s-mine-is-mine mindset and have actually lost business due to their ignorance of social media, or their pure selfishness. I was surprised when I read that Qualman thinks it’s acceptable to let others run your business for you, but his explanation makes sense: “Take advantage of what others who have already done the legwork to help you position your brand throughout the social media space” (p. 171). The example of Hasbro suing the makers of an application called Scrabulous helped Qualman prove his point. If the company would have accepted the application or attempted to purchase it, they would have probably increased the number of customers instead of irritating people who already liked the application Scrabulous. Reading this part of the chapter made me think of a similar application that is now popular: Words with Friends. After doing some research, I found out that a company called Zynga developed the Words with Friends application that users can operate on smartphones, iPads, the computer, and other devices. However, in 2012 a traditional version of the game was released. Can anyone guess who was involved? Yes, Hasbro. I guess the company finally learned its lesson. Although the traditional version of Words with Friends is basically the same as Scrabble, users who like the application (and younger users who may not even have ever played Scrabble) may prefer Words with Friends. This lead to me think of how I have seen companies allow their customers to own the brand. I am an avid Pinterest user. On Pinterest, users can “pin” images they like to their virtual [bulletin] “boards.” Users can see what their friends post and can “repin” something that a friend has already posted. Users can also “tag” their followers in a post. When I was off work over the summer, I used the application daily to look at fashion ideas and cookout recipes. In June, I started following one of my favorite clothing brands – Old Navy. Old Navy posts images of models wearing their latest trends, but the company also has a “board” dedicated to real people wearing their clothing called Wear Us Out. Users can “tag” the company in an image, and it will show up on the “board.” Old Navy representatives can also sort through tagged images, and then post the ones they like on the “board” too. I think this is a brilliant idea to attract customers. Of course, the models look good in Old Navy clothing. However, their strategy makes me, as a customer, think that if these real people can put an outfit together with Old Navy clothing, I can too. Old Navy is a great example of a company using social media to their benefit and letting customers do the work. Sometimes, while I am reading through actual books (versus articles) in my classes, I wonder how fast the author has to write his book in order to go through the editing and publishing phases to get it out to the consumer before it becomes “old” information. These days I would say they have to write with lightening speed because of how fast technology changes and how constantly new forms of social media seem to be introduced (and then disappear again). In fact, I also often wonder if we are going to see a shift away from paper books in classes specifically because of how fast information changes. Don’t get me wrong, I still learn a lot even when the information is becoming dated, as it is in Socialnomics. It almost becomes more of a history lesson – sometimes you can laugh at the information and other times it is scary how true some of their future predictions have become. For this week I thought it would be fun to explore some of this older information and see what it looks like today. Chapter four focussed heavily on Barack Obama’s use of social media for his elections, toting is as incredibly forward thinking: “Perhaps due to his widespread appeal to younger audiences, but more likely due to limited funding at the outset of his campaign, Obama embraced social media from the beginning – knowing he had a chance to dominate this medium over his democratic opponents” (Socialnomics, 2009, p. 62). And this quote: “If not for the Internet, Barack Obama would not be president or even the democratic nominee” as quoted in Socialnomics on pg. 65 by Arianna Huffington of the Huffington Post. Eric Qualman was probably correct in this assumption, especially with regards to the younger followers being the ones who were using social media very heavily at the time. Out of curiosity I looked to see where the “follower” counts have gone since this book was written. Obama has gone from 3.1 million fans on Facebook (Socialnomics, 2009, p. 62) to 36 million today. His Youtube channel has gone from over 20 million views, per Socialnomics (p. 63) to 291,711,299 views today. While I did not see mention of how many Twitter followers Obama had at the time this book was written, he currently has 37,736,062 followers. Considering Twitter was a very new medium during his 2008 campaign, we can probably assume that there were far fewer followers back then. What is interesting is that “Obama has pledged to involve Americans in his decision making, by giving them five days to comment online on any nonemergency legislation before he signs it” (Socialnomics, 2009, pg. 74) but yet I have searched numerous different Obama internet sites and have not found any such options. I have also seen that many of his sites have not been updated with events or activities since 2008. In particular, the Youtube channel has not had a recent video from Obama since the beginning of the year. I think we were all excited to hear that a fresh young President was going to make such great changes – it made him seem more down to earth. It is just unfortunate that his ideas have not taken off like he had said they would. Maybe because he found out how time consuming social media can be and his job is a little bigger than he thought? Haven’t we all been there done that?! In either case, another topic that Qualman brings up is how Google can predict future trends by looking at its own search trends and advertising click-throughs. This is still something that Google is promoting. I found this fascinating and would love to learn more about it. It still seems that the privacy concerns brought up in Socialnomics are still an issue today and this information is not readily available to the public. Finally, according to Qualman, “One thing that is surely inevitable is the introduction of online voting” (Socialnomics, 2009, pg. 83). Well, his prediction is still not reality almost 6 years later. Not that it isn’t still a topic of debate among those who are interested, especially Internet security types, but it still seems quite a long ways off. Even Canada is farther ahead than we are in this debate. I, personally, would love to see this one come true! Books may still be valuable tools but time will tell if their ability (or lack there of) to keep current, without costing the consumer an arm and a leg, will devalue them in the future. Might we see a real digital version that can get updated on a weekly, monthly or yearly basis without buying a whole new book? Wishful thinking on my part, I suppose! When I first reviewed the books for the semester, I thought the book on Obama and Social Media in Qualman’s book would be a good read. I have never been interested in politics and was confused about the purpose of social media, but this looked like it might be a good introduction. October 1st, 2013 I realized I need to pay closer attention to politics and who is being elected to represent our country. My husband was upset when Obama was elected in 2008 and down right pissed off when he was reelected in 2012. I was like, how bad can it really be? He can’t really bring down our country. Well, I think he has. To be fair, he didn’t do it by himself, he had help from Democrats and Republicans alike. On October 1st, 2013, my husband woke up for work, after just coming home from a 5 day deployment in South Carolina, got dressed and went to work at the 148th Fighter Wing, here in Duluth, MN. AT 730am i was getting my daughter on the bus and received a call. Because of what was happening in Washington DC, he was being furloughed for at least the next 4 days. Over the next four days, I started using social media, I paid attention to a few reporters on twitter to help keep me up to date on what was happening. I had CNN and Fox News open on multiple tabs on my work computer. I was listening to the House of Representative and the Senate on-line as speeches were taking place. It got me thinking about how he was elected/re-elected. Reading this chapter helped me understand the importance of social media. This is really the chapter that helped it all sink in. I found it really interesting the amount of twitter and Facebook followers that Obama had vs McCain and the way Obama used (and apparently) continues to use Social Media. They say Social Media is two way communication, but because I am still a newby with this, I am still using it as a One-Way communication. I get small bits of information given to me that I can read when it arrives. If I have to read an entire article to get the information, I have to take more time away from what I am doing to read the article. One quote that sticks out to me in this chapter is “The key resides in the ability to identify and internalize issues that help precipitate change. Action earns support, not merely words”. To me this really personifies the two way communication. Social media allows the politicians to indicate what they are working on and for the followers to respond if they are in support or not. This can allow for the politicians to really understand what is concern of the people they represent. As of this writing, my husband got the call to go back to work on Monday, thank goodness…he was driving me crazy sitting at home. I understand what Qualman is getting at this week, that search data can be used for many things to make the world a better place. It does bother me that he conveniently leaves out that this information should be used with caution, since it only tells part of the story. His example of search trends between “Obama” and “McCain” before the presidential election indicates that they were searched for, but there is no information about what searchers were looking for, or when they looked at in the results. This information was introduced as valid, but potential limitations were only alluded to. Qualman describes a future where we might use online voting, but I have strong reservations about that. Our current voting procedures are far from perfect, but at least most involve some sort of verifiable paper trail. Online voting would do away with that safeguard. I understand the excitement and convenience factors, but we need to make sure to proceed with caution. There is already a lot of potential for voter fraud under our current methods. I would hope that we hold off until we can guarantee that each vote is correctly accounted for before we proceed. The Death of Social Schizophrenia was interesting to me. The chapter indicates that people are better off being comfortable with who they are rather than trying to be someone they are not, but then it provides several examples of people who paid the consequences for being genuine or sharing too much on social media. That seems like a contradiction to me. Then there was another example of an organization creating false accounts to screen potential job candidates, which to me seems like a different form of social schizophrenia. He advocates being comfortable with who you are, but also exercising strong self-censorship. That is probably good advice for anyone to follow. The section on marketing hit home for me because I studied advertising in college. I appreciate the marketing philosophy of today because of the emphasis on being upfront and honest about the product. The prevalence of social media pretty much requires this approach if companies hope to succeed. I’m a fan of online forums, and I have seen several companies pay the price for bad service, poor products, or false advertising. Almost no company is immune to the potential destructive power of social media. It is essential for them to operate more transparently and honestly, or they taunt the wraith of social media users. Sometimes when I read things for class, I start to panic as I realize how woefully inadequate I am to the task of being the perfect technical communicator. When I read about all the ways that I need to market myself and all the areas in which I need to be competent in order to be competitive, I begin to have a minor panic attack. Okay, I am using the tiniest bit of hyperbole. Just a little. But nonetheless, it can be a bit overwhelming to read things like R. Stanley Dicks’ “The Effects of Digital Literacy on the Nature of Technical Communication Work in Spilka’s Digital Literacy for Technical Communication. The chapter focuses on describing the way that digital literacy has impacted the work lives of technical communicators, which seems innocuous; however the chapter also reads as a cautionary tale of how one must be awesome in order to save their job from being outsourced or seen as unimportant. We must change as the technology and the economy and the markets change. It is the only way to keep technical communicators marketable. Likewise, Qualman points out in Chapter 6 of Socialnomics that corporations are also having to change for the same reasons. It is interesting, though, that while Spilka promotes adding a variety of things to a technical communicator’s skill set, Qualman’s advice to corporations is the rather the opposite. Qualman contends that the marketability of organizations rests in their ability to pare down their message from claiming to be the best at everything to being the best at something specific. It is strange to see such seemingly different recommendations in reaction to the same changes. However, I think that below the surface, both Qualman and Dicks are attempting to get at the same point. Because of changes in technology, we have to be smarter and more strategic about how we do our work, whether as an individual or as a corporation. As a technical communicator, we may have to add skills, yes. But more importantly we need to know how to market them to the organizations for which we work, to help them see that there is one area that we meet a need in the corporation that can’t be met by someone who has not had the same training. So while we may in fact have to supplement our skills, this too is following Qualman’s advice, because even on an individual basis, we need to be able to show our worth in 140 characters, so that managers and organizations at large can’t overlook our contributions. It is really just a change in marketing for us all. We, as usual, have to know our audience and speak to it in a way that is easily understandable. I think that means that a technical communicator needs to understand how technology and social media has changed not only how customers approach a corporation or a corporation approaches its customers, but also how a corporation understands its employees. Because, let’s face it, we all know that the changes in technology have fundamentally changed how we understand and interact with the world. We can expect that it has likewise affected every relationship we have as well, even if it is between a technical communicator and an organization. I found a lot of things in the Qualman reading this week informative. I didn’t realize Obama raised more money for his campaign and it seems like the credit is going to social media. It does make sense that if you have more donation vehicles available that you’ll raise more money, but maybe those people would have donated anyway, so I’m not sure social media deserves all the credit. I also found it really interesting that we can tell who searches for what and where, such as how Canada and United Kingdom were searching for political news in the U.S. The internet really does provide visibility into our lives. The Qualman reading also said Obama had a meeting where people put their phones on the center of the table. At one of my previous jobs there was a rule in place that you didn’t bring phones and laptops to meetings. This was the result of too many people going “wait, what?” in meetings. You can’t pay attention in a meeting if you’re on your phone or laptop. Meetings won’t take as long if you don’t have to keep stopping to repeat things either. One of my friends has a brunch every year for the holidays, and someone actually made a comment last year that it was nice no one had their phone in their hand. You see it way too often in places like restaurants or bars where people are with people in person, but spend the night on their phones. Social media does make us productive though, like the example the reading provides of seeing the wait time to vote. The NJ DMV does this for the inspection wait times. I do wonder if we’ll see online voting though. It would be very convenient, but a lot of things for privacy and accuracy need to be addressed. The reading also discusses the role of marketing and that marketing has the job to make the customer happy and produce something that really has value. We’re in the age of the customer where online recommendations and reviews really do make an impact. There have been many things online I was going to buy, saw negative reviews and then either didn’t make the purchase or went with a different product. I also have bought something based on a recommendation from something that I bought previously. Money is made in a tough economy when people see value in their spend. This is why online documents have become so important. The Spilka reading mentions how technical documents aren’t just part of an assembly line anymore. Documents need to be readily available in an easy to access location. We’ve become a society with no patience, so if we can’t get what we want when we want it, we move on. The idea the reading presents of maybe using blogs to replace technical documentation I don’t think will take off. I think a blog can be a great pairing to technical documents, but can’t serve as a replacement for them. The only way a blog can be effective is if someone is monitoring it 24/7 with quick answers, which almost turns the blog into a chat with a live agent kind of thing. So, what do you guys think? I feel like I covered a hodgepodge of topics, but I liked a lot of the different topics the readings made and wanted to discuss some of them. This week, I found myself thinking about my Amazon book purchases after reading Socialnomics: “Death of a Social Schizophrenia.” Quite a bit of interesting material caught my attention, and for this entry, I ended up thinking about social media and its selling power. Qualman notes that Amazon introduced us to the selling technique of “People who purchased this book also purchased these other ones.” I immediately thought about the times I have skimmed the titles of books brought to my attention in this way after having bought another title. Social media has really transformed the way we receive referrals. Therefore, I was more and more interested as I read Qualman’s description of “Referral Programs on Steroids” and how this holds true in my own experience. The Amazon model provides to users a list of titles they might want to buy based on other people with similar tastes. Yet as users, we don’t know these other people. In fact, “they are an aggregation of thousands of others who happen to have the same purchasing patterns” (131). They are not our friends or family or close acquaintances; only we might share similar buying habits, and that is the connection. It’s a marketing technique. Qualman describes social media as taking this referral program “one giant step further” because while social media will continue to offer what the universe enjoys, it allows us a much deeper and closer referral program: our specific network. Within our networks, we have circles of trust. Qualman gives to us the example of a friend who normally reads romance who then refers a sci-fi book. Because we know and trust this friend, we may be much more likely to want to read this book after we read her post proclaiming her love of the book. We buy the book; we have just been sucked into the power of social media to make a purchase because of the referral by a known and trusted source. I have done this before. Have you? However, I have ignored countless recommendations from Amazon. I am little affected by the note that others (like me) have also purchased these others items. It rarely influences me to make another purchase. I might look (window shop), but have never bought in this fashion. If Amazon found a way to connect my friends and family to my purchases, I might be more easily persuaded to buy. Social media definitely “beefed up” the referral program. The implications of this power for companies and businesses are great, and as Qualman writes, “Well, the referral floodgates have been opened my friends” (132). One of my most recent purchases influenced by social media did indeed come from my Facebook page. Emily Dickinson is a “friend” of mine, and as a result, I was referred to this collection of her letters. I bought it within a week of reading the post. Thus, social media’s referral program within my network worked! Sale complete on my behalf. I happened to find another book on Amazon while searching for books on the power of friends: Friendfluence. Of course, my eyes then wandered down to the “Customers Who Bought This Item Also Bought” section, and I did in fact look at the titles to see the buying patterns of those who bought Friendfluence. The book actually does reference the power of social networks. It might be an interesting read. Cell phones: Freedom of speech or public nuisance? It was great to read about the use of cell phone technology this week. This was an area where I feel like I was behind in adopting. My husband had a cell phone for about five years (granted it was a very basic Nokia with a 30-minute-a-month plan but a cell phone nonetheless) before I finally got one as well. I think I resisted because I saw people with cell phones who were so dependent on them, even addicted in a way. And it affected their social skills. I remember one time while I was in college at UW-L, I drove “home” for the weekend. I went out with some friends from high school that I hadn’t seen in a long time. One friend in particular, while we sat having drinks, sat her phone on the bar and kept checking it and texting people. She was texting people who she saw on a regular basis – she hadn’t seen me in two months! I did not want to turn into that person. Baron (2008) talks about this in her articles – cell phone etiquette (specifically in Japan but I think it can be applied to other cultures as well). Japan has created a culture where cell phone use is extremely high, yet manners and etiquette are still strongly in place. Cell phone use is strongly discouraged in public places. Are we, as Americans, just further behind in the evolution of cell phone technology use, or is our culture just “louder” and less concerned with offending others? Photo source: Rott, L. (2013). Graph created in MS Word. Despite my resistance, I ended up enjoying my cell phone – and, what joy I found with smartphones! I feel like I am much better connected and informed now. I also feel the sense of freedom Ishii (2006) describes in “Implications of Mobility: The Uses of Personal Communication Media in Everyday Life” on pages 347 & 348. I am not tied to a landline phone, I can make calls or send emails from just about anywhere, and I am able to look up just about anything I need to, whenever I need to. For instance, if my husband and I go to dinner and we’re thinking about going to a movie afterwards, I can pull up my Flixster app and we can decide before dessert arrives whether or not to go. (And, yes, I almost always order dessert as I have the BIGGEST sweet tooth. Tiramisu is my favorite.) My phone is not so much a phone (combined, my husband and I use fewer than 200 minutes a month for voice calls), but a mini mobile computer. I have also felt the loss of freedom Ishii describes. Shortly after I got my first smartphone (the Motorola Droid), I had to travel to Chicago for a conference for work. I had traveled for work before, but it was previously as more of a sales support person and I usually attended the conference with a sales manager or sales director who took care of corresponding with the home office and customers while we were away. However, I had recently been promoted to an account manager and was traveling with someone who was very new to the company so I had more responsibility – in my job function and as a mentor to the other employee. So, I needed to stay in the loop while out of town and set up my phone to access my work email. This worked great during the conference. I was able to respond to client emails and take care of issues that otherwise may have had to wait until I returned in five days. I know this is very common practice now, but, at the time, this was revolutionary for me. I kept the work email “hooked up” after the conference ended. That lasted about a month before I said enough was enough. I’d be sitting at home with my husband and I’d hear that tell-tale chime on my phone that differentiated a work email from my personal email. I felt compelled to check it. Finally, I decided I needed to leave work at work. Besides, my company wasn’t paying for my cell phone or data package. Was it really necessary to be THAT accessible? Now that I’m using social media more lately and connecting with my clients in more online venues, I may be starting to change my mind about accessibility. Maybe. P.S. An update for anyone who is wondering about my situation with my cable/Internet provider…so, I posted a complaint on their FB page and had a response in 24 hours. Upon the social media manager’s recommendation, I emailed a formal complaint. Communicating just via email over a period of about six days, I had all of my programming fixed (I was missing 20 channels) without having to upgrade for extra cost, my discounts are still in place and I also had an error on my bill corrected. I did not have to sit on the phone for an hour (which I’ve done before) or talk to a variety of customer service reps (they have different ones for different services and none of them talk to each other very well). Victory! I went back to the company’s FB page and made sure to put a very positive comment out there for them. The power of social media!